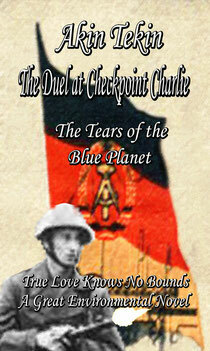 The greatest environmental novel of all time, "The Duel at Checkpoint Charlie" Now with new edition only 9.72 $ - akintekins Webseite! Please click on the book at the right if you want more information. Tekin's novel is about his protagonist's travels back and forth between West and East Berlin during the Cold War Era. He is a student in the West who studies political philosophy including the differences between Communism, Capitalism and Socialism. Today's readers may not realize that one could be shot, arrested or imprisoned if caught trying to flee to the West. His vivid descriptions filled with sensory detail make you feel that you are standing beside him. His conversations with those he meets is a study of the pros and cons of each political doctrine as well as how each person's perceptions is shaped by free market mass media or the relentless barrage of government propaganda. The author is perceptive enough to engage in grueling self-analysis and clever enough to find humor under the most trying conditions. His conception of the ideal political doctrine is one called eco-socialism, a network of national policies designed to preserve the earth's ecological sustainability as well as to promote personal happiness. 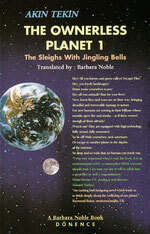 Threaded throughout this tale, like a necklace of precious jewels, is a kind of mystical lyricism that turns his prose into poetry. Overall, a page turner. I loved it. I recommend it! - Akin Tekin's speculative utopian essay/novel. Tekin's cautionary glimpses of a post-apocalyptic future bracket this documentary style (auto biographical?) memoir of a Turkish student/immigrant - and environmental Sophist - Erol, caught up in the maelstrom of the East-West, socialist/capitalist conflict - and environmental/social dislocation - in Germany - and the world - in the 1980's. Knowing where our earth and its inhabitants are headed and what has to be done to save us is a heavy burden to carry. It is my experience that the information in The Duel At Checkpoint Charlie comes from the author’s fierce and broken heart. 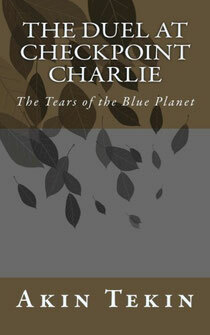 Read everything this Eco-prophet offers and then look to your part in it…past, present and future. For most of my life I've wanted to visit Turkey. 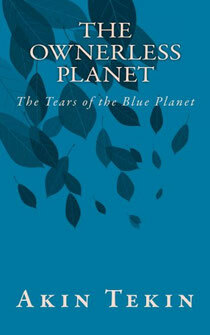 Reading 'The Ownerless Planet' afforded me the experience without the expense of a plane ticket. Akin Tekin is a compassionate and skilled writer who introduces us to the Turkey of his past as he weaves in the stories that bring it alive today. His intimate knowledge of Eastern Europe as it developed during the Cold War is both illuminating and wise. Tekin is one of those activist heroes of today who has put his money where his mouth is. This book is simply too rich to miss. This is a very thought provoking book regarding how we are dishonoring and destroying our planet and where our responsibility lies. It is also rich is Turkish country lore from days of yore. I was touched by the deep humanity expressed. Tekin is a fine writer and serious activist.